A complete guide to the 3 best rooftop bars in Copenhagen in 2019. Which are the best rooftops in Copenhagen? A city well known for all its fantastic bars and restaurants, but not so much for its rooftops. But there are a few gems, and this guide will take you the very best Copenhagen rooftop bars. Here you'll find all the info you need about each rooftop. Opening hours, dress code, pictures, maps and much more. Which is the best rooftop bar in Copenhagen, you might ask? 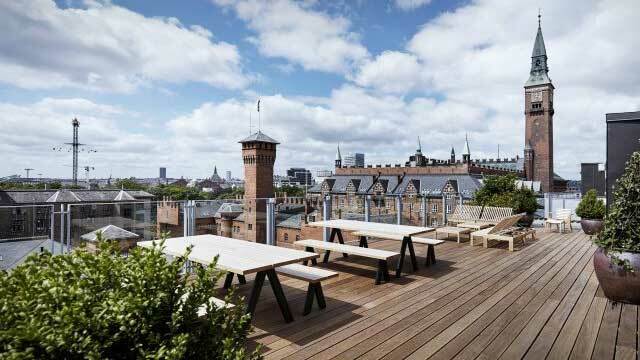 Just scroll down and find the Copenhagen rooftop bar best suited for you. Or use the Copenhagen rooftop map in the bottom right corner. On top of the Illum shopping mall you find this truly diverse rooftop, with a mix of restaurants, bars, cafés and food markets, and both indoor and outdoor seatings. A real gem for the culinary visitor, and here you can enjoy exquisite lobster, crispy pizzas, sparkling bubbles, beers, cocktails and much more. All to some great views over Copenhagen from the long terrace winding around the building. 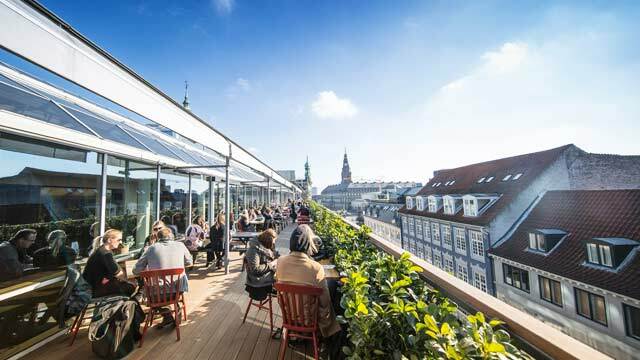 The Rooftop Bar is located on top of the newly re-opened boutique Hotel Danmark, right in the heart of the city, next to famous landmarks like the National Museum, City Hall and Tivoli, offering sweeping 360-views of Copenhagen and beyond. Decorated in classic Scandinavian minimalistict design, with a very open and airy feel. And the open feel is also open for everyone, hotel guest or not. 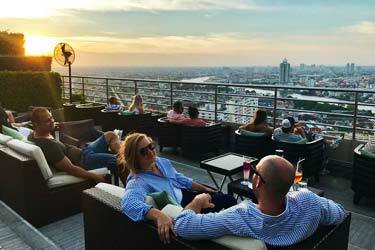 This is a perfect place to enjoy a tasty cocktail or a glass of beer / wine, soak in the relaxed lounge vibe and gaze over the city. 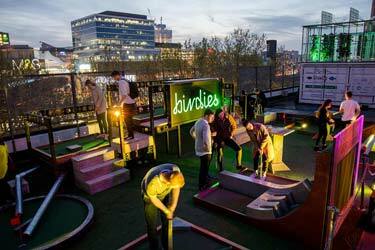 During summer there is also ‘Up Sessions on The Rooftop’ every Friday night. Skybar Sticks ’n’ Sushi is both a fantastic japanese restaurant, a sky bar and a rooftop terrace, located on the 12th floor of the Harbour Tower at Hotel Tivoli, close to Tivoli amusement park and the Central Station. 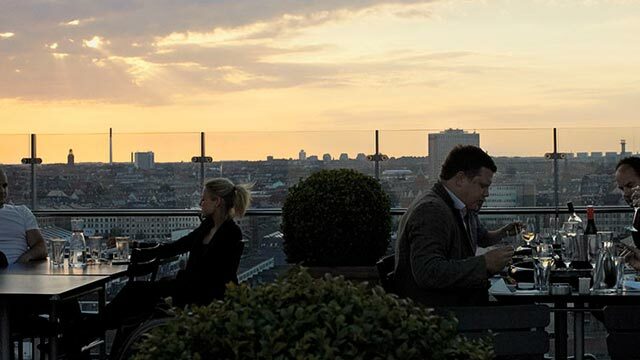 Here you can enjoy mighty views over the Copenhagen skyline, along with delicious sushi, yakitori sticks and a long drink menu including Japanese inspired cocktails, sake, wines and home brewed beers. 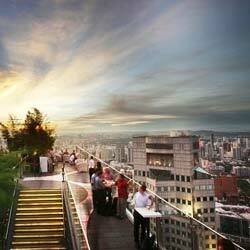 The indoor restaurant and skybar is open year round, while the cozy decorated rooftop terrace is open during summer. Discover the biggest collection of Copenhagen activities, guided tours and skip-the-line tickets. Anything you want you'll find right here. Copenhagen is somewhat of a small big city, with mainly older and lower buildings and not really any sky scrapers. 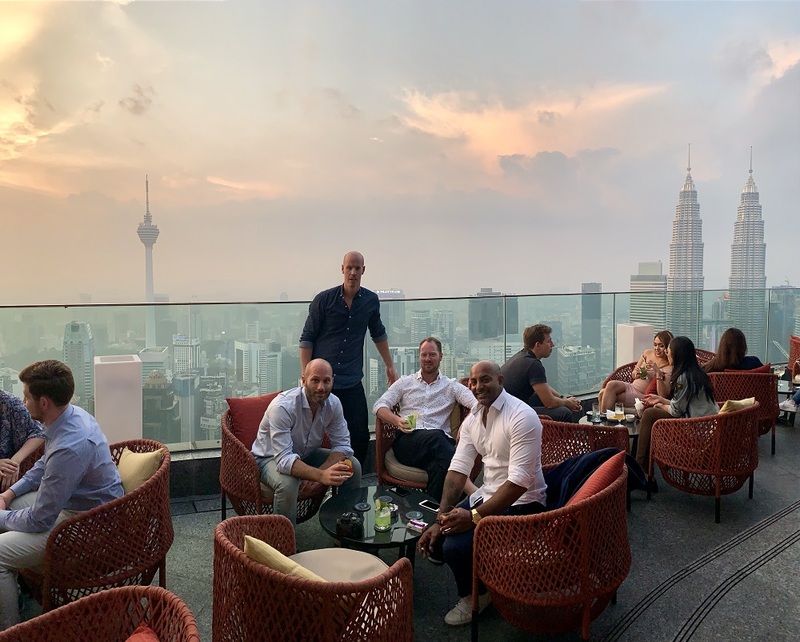 Thanks to this, and a climate with outdoor season being mainly during the summer months, it is no big surprise that the city is not crawling with rooftop bars. But given the history of being a great bar and restaurant city, it is a bit strange that there is not more 5th-ish floor rooftop gardens and terraces. This might however very well be about to change, as recently two great new rooftops opened in the city (both are in this guide), and we have a feeling many more is about to follow. Copenhagen is the capital of Denmark, located on the island Zealand, right at the water of Öresund. 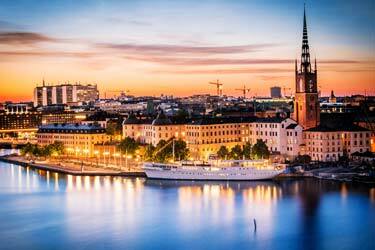 The city's most famous landmarks include the amusement park Tivoli, The Little Mermaid statue and the walking and shoping street Strøget. It is also home of the Carlsberg brewery. 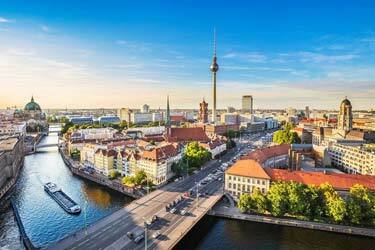 It has quite a small city center that is easy to get around in, and it is one of the world's most bike-friendly cities. 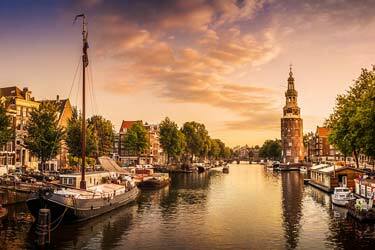 Two very well known, and very different, areas of Copenhagen are Christiania, a haven for people with alternative lifestyles and famous for and open mind towards drugs, and Nyhavn, a picturesque area right by the water with colorful buildings and lots of cosy taverns. 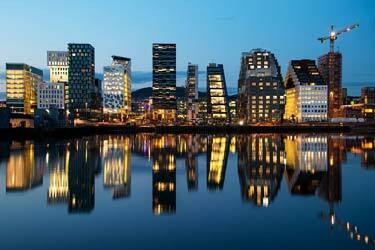 Outside of Copenhagen is Kastrup Airport, which is Scandinavia's busiest with about 2 million passengers a month.